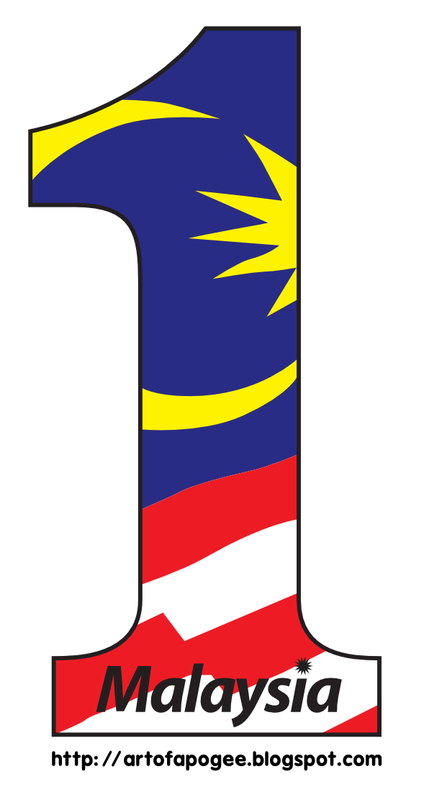 For those who are searching for high resolution version of 1Malaysia logo, you can use this scalable vector graphic. Resize it to whatever size you like and the quality will always maintain as is. 1Malaysia is an on-going campaign announced by Malaysian Prime Minister Datuk Seri Najib Tun Razak on September 16, 2008, calling for the cabinet, government agencies, and civil servants to more strongly emphasize ethnic harmony, national unity, and efficient governance. 1Malaysia strongly emphasizes national unity, ethnic tolerance, and government efficiency. The eight values of 1Malaysia as articulated by Najib Razak are perseverance, a culture of excellence, acceptance, loyalty, education, humility, integrity, and meritocracy.